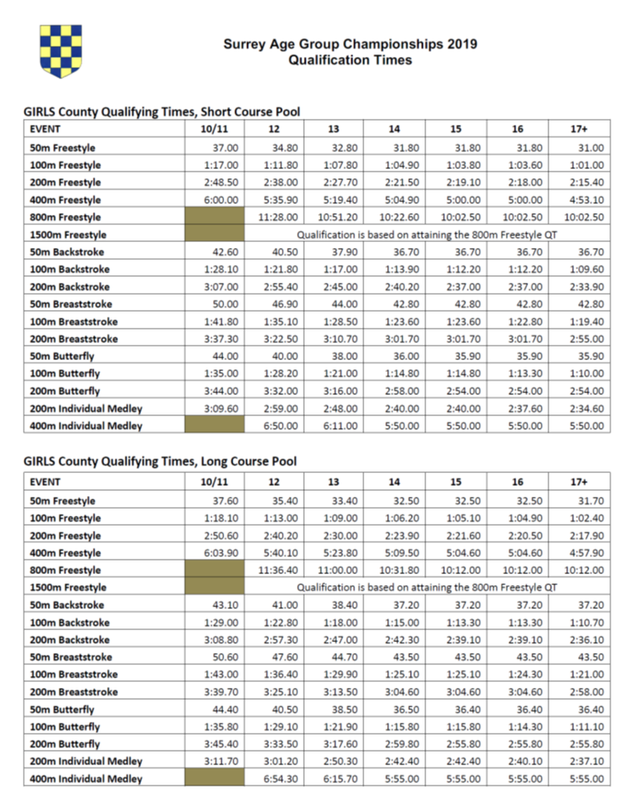 where swimmers from Surrey County affiliated swimming clubs are invited to compete if they meet the designated qualifying times. 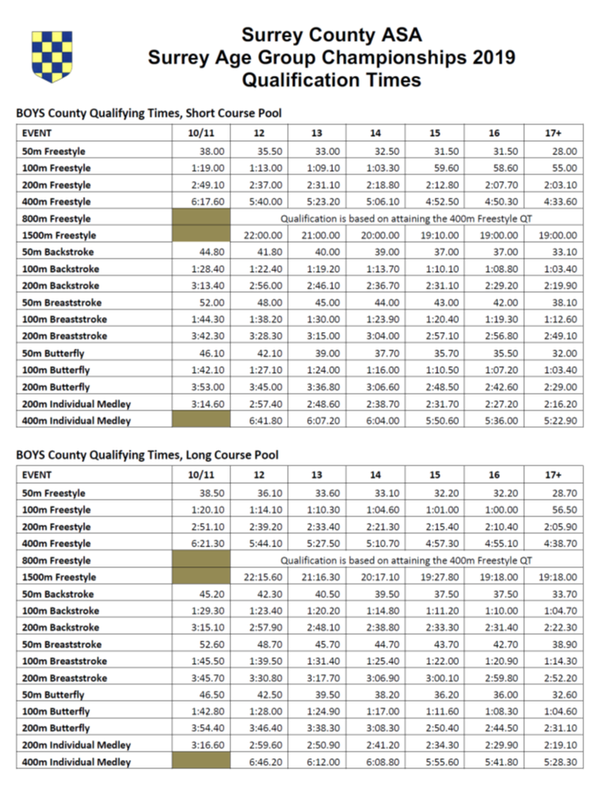 Swimmers are expected to enter all events for which they qualify. Relay events are included in the meet programme and, if you are selected to swim, you are expected to make yourself available to do so. The Surrey County Championships are open to qualifying swimmers aged 11 and over (with 10 year olds being able to compete provided they meet the 11 year old qualifying times). The age of swimmers is calculated as at 31st December in the year of competition.